It’s a new year, football is now over until August, time to play a little Poker……. 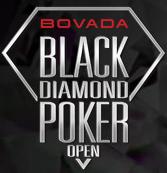 No better place to go than Bovada.lv, the number one choice of players in the U.S.
Bovada.lv has announced their annual Black Diamond Poker Open and Players are already registering for the largest Poker Tournament Series on the Internet. The 2014 Black Diamond Poker Open has 200 tournament events scheduled and is offering 100’s of daily and weekly satellites to all of the events. The BDPO is divided into two separate series, the Contender Series (Feb. 18 to March 12, 2014) and The Championship Series (March 22 to April 13, 2014). As usual, the choice of Games and Formats is fantastic on both series. Games include: NLHE, PLO, PLO h/l, Stud, Stud h/l and Limit games. Formats include: Deep stack, Super stack, 6 max, turbo, super turbo, knock-out, super knock-out, heads up, shoot-out 6 max and re-buy+add-on’s. With 200 events, Bovada has gone all-in, giving players the tournament variety they seek. 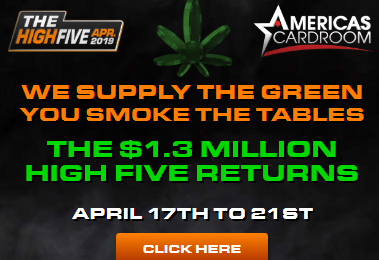 Buy-ins start with as little as $3.30 (Contender Series) and range up to the High Roller $450 buy-in (Championship Series) $300K Main Event. Look for BDOP Satellites daily on the main tournament lobby. There will also be what Bovada calls, Super Saturday Satellite Days. Which will be running each and every Saturday before that Sunday’s Main Event. The Black Diamond Poker Open 2 kickoff was Monday on Bovada.lv, with Qualifiers and Satellites to the Contender Series. The BDPO2 is the Bodog network’s annual Poker Tournament Series. It was a massive success last year and the numbers look to get even better with this year’s schedule. The 2013 Black Diamond Poker Open 2 is guaranteeing $850,000, in total prize pools this year. Bovada.lv Poker will be offering a special 200% Welcome Bonus of up to $1,000 for all depositing players throughout the Series between February 4 to March 24. This is in place of the standard 100% Welcome Bonus of up to $1,000. Contender Series: 43 Micro to Mid-Stakes events. Buy-ins range from $3.30 up to $55 and the guarantees start at $500 and continue to $30K. The Contender Series $30K Final is on Feb. 24 at 5:02PM ET, $55 Buy-in, 5000 chip start and 15 minute blinds. Main Event: $250,000+ Guaranteed prize pool, running the final day of the BDPO2 series, on March 24th at 3:02PM ET. This Event will have a 10,000 chip Super Stack and 15 minute blinds!